I love food and I love deals. So when I received a voucher to try out Buitoni’s Frozen Meals for Two as part of the Foodbuzz Tastemaker Program, I was VERY excited! 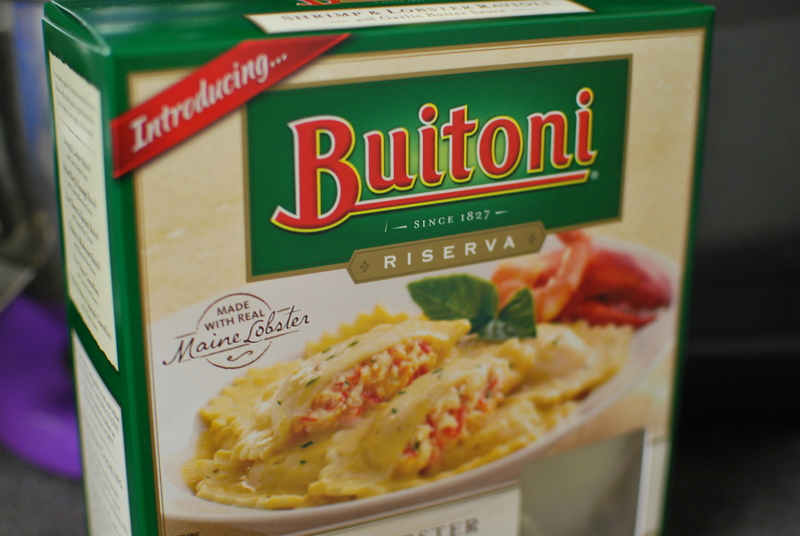 For years, Buitoni has had a line of premade pastas and meals that can be found in the refrigerated section of your local grocery store. However, this new line that is found in the freezer section, could be considered a “high end” or premium frozen dinner. Oooh-la-la. Once I received my voucher I went to several stores before I could locate them. And where did I finally find it? Target, of all places! (But since then, I’ve seen it at several other grocery stores). 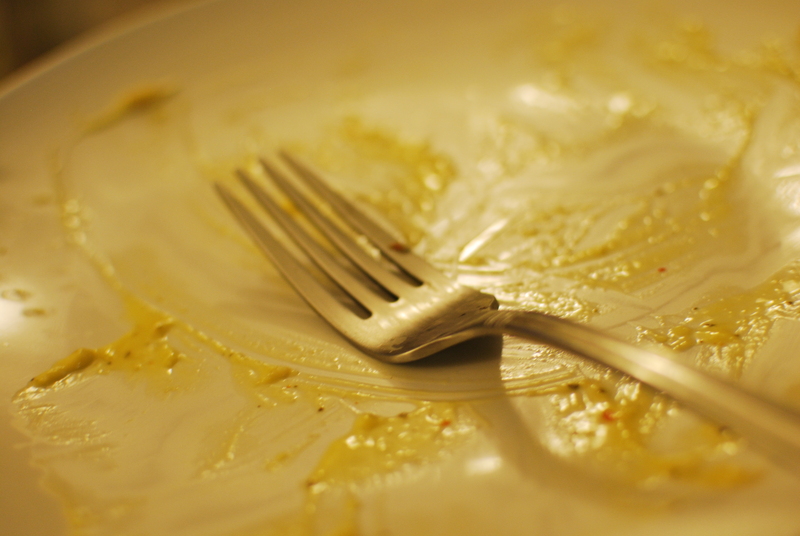 We decided to try the Shrimp & Lobster Ravioli with Garlic Butter Sauce since the box boasted that the lobster was from Maine—and well, the photo looked delicious! Preparation was extremely easy and our meal was done within 20 minutes. After filling a large pot of water, you drop in the entire plastic pouch of sauce to heat it through. When the water reaches a nice low boil, the frozen ravioli go in. Before tossing the sauce and ravioli together, I took a quick taste to check for seasonings. I found the butter sauce was a little too rich by itself and added a pinch of dried thyme and crushed red pepper to balance the flavors. Overall, the entrée was pretty tasty! The pasta dough had a good bite to it and I was happy to see that the raviolis were filled quite nicely with fairly large chunks of shrimp and lobster. 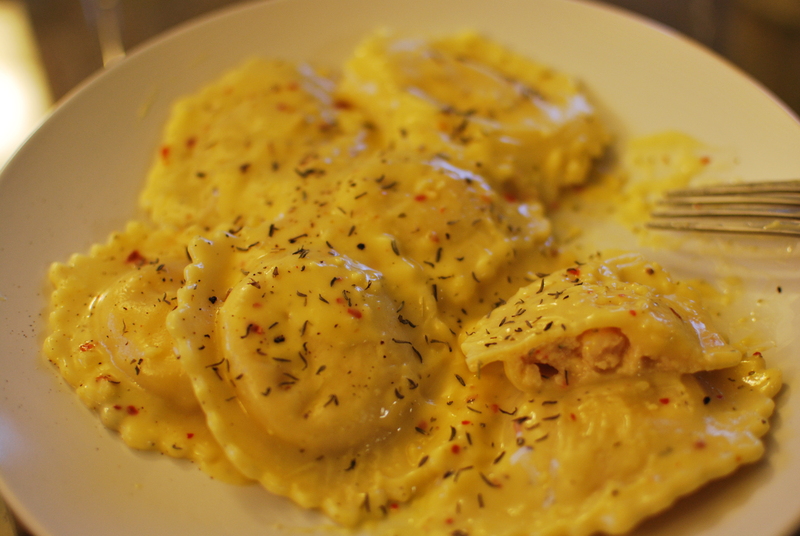 We paired the raviolis with an easy mixed green salad that offered a brightness to the rich butter sauce. Although a little bit on the pricier side for a frozen meal (at $9.99 for one box that serves 2), I found it to be enjoyable and wouldn’t mind having it again.